LEXINGTON, Ky. (Oct. 25, 2018) — University of Kentucky biology and neuroscience senior Esther Putman, of Lexington, is having an out of this world year. This summer, Putman was named one of 2018’s 50 recipients of a $10,000 scholarship from the Astronaut Scholarship Foundation (ASF). 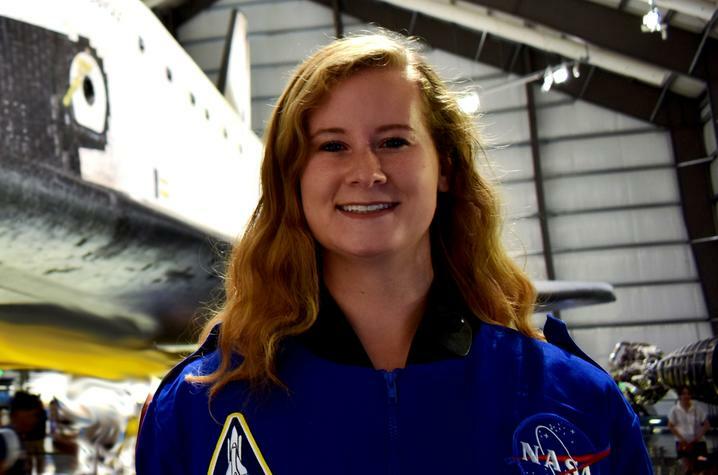 In addition, Putman was one of 40 recipients of a Brooke Owens Fellowship, which matches its fellows with paid summer internships in the aviation and space industry. The ASF Scholarship is presented annually to outstanding college students majoring in science, technology, engineering or math (STEM). A nonprofit organization, ASF was established by the Mercury Astronauts in 1984. Its goal is to aid the U.S. in retaining its world leadership in science and technology by providing scholarships for exceptional college students pursuing degrees in these fields. Since that time, astronauts from the Gemini, Apollo, Skylab and Space Shuttle programs have joined in this educational endeavor. UK students have earned a total of $181,000 from the ASF since 1998. Just months before learning she was an Astronaut Scholar, Putman was informed she was a recipient of the Brooke Owens Fellowship. Created to honor the legacy of space industry pioneer and accomplished pilot, Dawn Brooke Owens (1980–2016), the fellowship is designed to serve both as an inspiration and as a career boost to capable young women who aspire to explore our sky and stars, to shake up the aerospace industry, and to help their fellow men and women here on Earth. “I'm excited to be the first student from Kentucky to join this network of industry — changing women in aerospace,” Putman said. “Brookies” are selected for their talent, their experience to date, their commitment to service and their creativity. Their experience in the program is designed to help them grow in each of those areas, turning promising students into thriving leaders. As part of her fellowship, Putman spent her summer interning at Vulcan, a Seattle-based company that works to tackle some of the world’s most difficult challenges. As a space systems intern, she explored how space technology can be used for Earth protection and how space organizations across the globe can collaborate toward preservation of the planet. The daughter of Harold and Rebecca Putman, of Lexington, Putman is part of the BS/MD accelerated pre-med program at UK, studying biology and neuroscience. A Singletary Scholar, she is also a member of Lewis Honors College and a Chellgren Fellow. 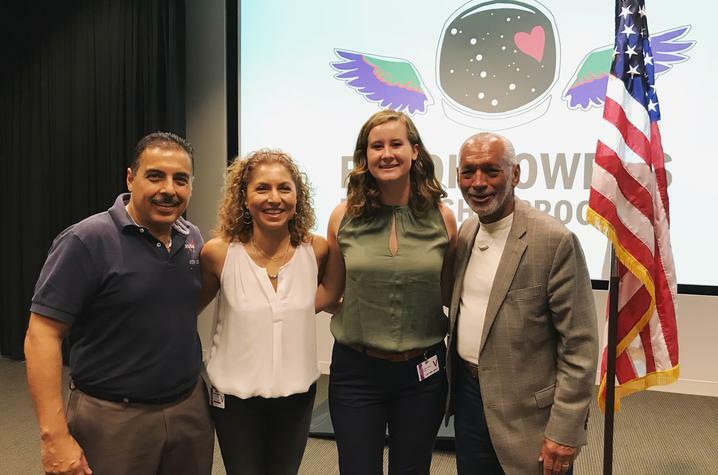 The Astronaut Scholar and Brookie began participating in research her senior year of high school under the mentorship of Chris Norris, professor of pharmacology and nutritional sciences at the Sander's Brown Center on Aging. During her sophomore year, Putman was selected as an intern for NASA's Space Life Sciences Training program. The internship took her to the NASA Ames Research Center in Moffett Field, California, during the summer of 2017. “I was part of a team project coordinating stratospheric weather balloon launches across the path of the August 2017 solar eclipse. This piggy-back experiment integrated bacterial payloads onto balloons that were being launched across the country, to use the conditions of the eclipse to study microbial survivability in a Martian analog environment,” Putman explained. Last fall, Putman presented her research at the American Society for Gravitational and Space Research (ASGSR) conference and was elected as a political action and educational outreach officer for ASGSR's student board. In that position, she traveled to Washington, D.C., in the spring of 2018 to speak to congressional representatives about the importance of spaceflight research funding. As an honors student, Putman completed her honors capstone through designing an experiment with her internship at Space Tango, a Lexington-based company that facilitates research and manufacturing in the microgravity environment. Her experiment examined how bacteria develop antibiotic resistance and how spaceflight exposure affects bacterial virulence. Putman credits several professors as being influential in her success, including former UK neuroscience professor Diane Snow; Jennifer Osterhage, assistant professor of biology; and Pat Whitlow, director of the UK Office of Nationally Competitive Awards. Upon completion of her bachelor’s degrees in May 2019, Putman plans to pursue a master’s degree in aerospace engineering with a focus on bioastronautics before going to medical school. Putman applied for the Astronaut Scholarship and Brooke Owens Fellowship through the UK Office of Nationally Competitive Awards, part of the Chellgren Center for Undergraduate Excellence within the Division of Student and Academic Life at UK. The Office of Nationally Competitive Awards assists current UK undergraduate and graduate students and recent alumni in applying for external scholarships and fellowships funded by sources (such as a nongovernment foundation or government agency) outside the university. These major awards honor exceptional students across the nation. Students who are interested in these opportunities are encouraged to begin work with the office's director, Pat Whitlow, well in advance of the scholarship deadline.